You are viewing the Suzanne Collins tag archive. So far this fall we have explored many tropes commonly found in young adult literature including the Old Clunker I Drive, The I Already Know you Introduction, The I Have to Take Care of my Parent(s), The Manic Pixie Dream Girl (and Boy), and The A-Hole Friends. 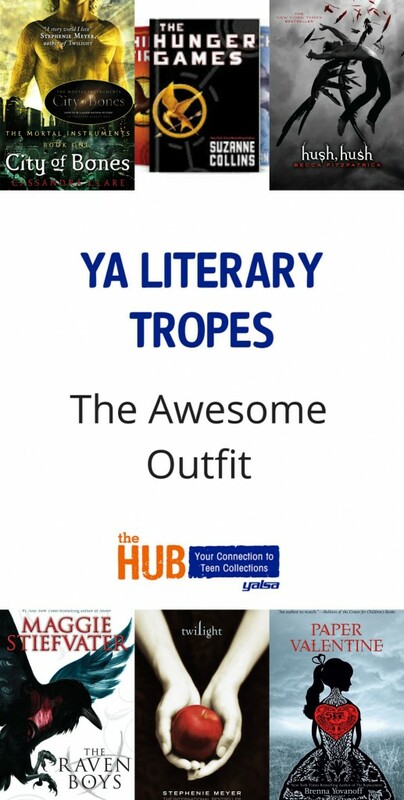 This week let us discuss and celebrate the Awesome Outfit trope. Welcome back readers! 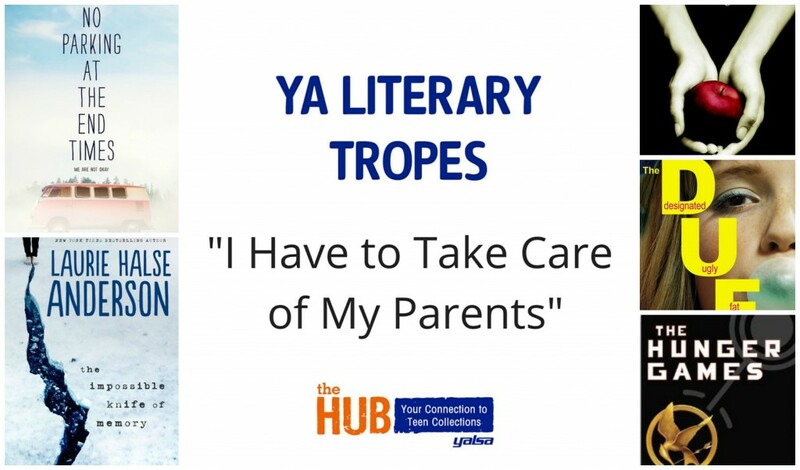 We are continuing our discussion of tropes (commonly used themes) in YA literature. So far, we have explored The Old Clunker I Drive and The I Already Know You Introduction. 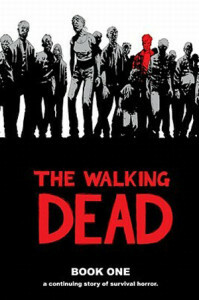 This week let us jump right into one of my favorites! We read it time and time again. These teens have a lot of responsibility and are oftentimes more capable than their parents. Why is this plot line so often used? Well, parents are not perfect so this is a realistic human experience for many readers. I also think that some wise words J.K. Rowling once said about the unhelpful librarian Madam Pince are relevant here. Sometimes, when you get the assistance you need the story is over. So, let us keep the story going by taking a look at some of the most inept parents (and their very capable children) in YA lit. If you’re reading this, then you’re probably not surprised at the continued popularity of dystopian literature or the many subgenres within it. Why are readers drawn to a dark post-apocalyptic future or the natural disasters with climate-fiction (cli-fi)? 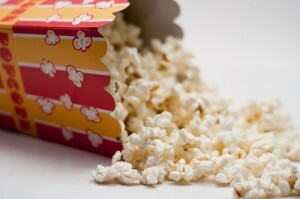 The appeal of these plots attracts a readership that spans generations. Others are quick to judge those of us over the age of 18 that love dystopian literature and cli-fi but overlook the joy and positive elements to these plots: the hope in dystopian. 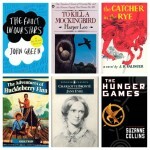 The dystopian genre is more than The Hunger Games and The Maze Runner and as grateful as I am to movies turning kids onto reading books they have also generalized this vast genre and created a stereotype of both this genre’s plots and their readers. Yes, these books are overly dramatic at times and incredibly unrealistic most of the time, but beyond the angst and youthful revolution mentality, one underlying message reoccurs – hope. Hope that stems from working together; hope that comes from faith in humanity; and hope that even in the midst of corrupt adults, deathly plagues, and the aftermath of natural disasters – we are stronger than the challenges and we, as a people, WILL survive. A story telling how we not only process and overcome negative events in life but still manage to find joy has been around long before the genre was named and long before we met Katniss. It’s the night before my 17th birthday, which means in a few hours, I’ll have to face the mysterious Test to determine my future. October is an exciting month for any YA lit fan, because it includes Teen Read Week! In honor of this annual celebration of young adult literature, YALSA invited book-loving teens all over the world to apply to share their enthusiasm for reading in a guest post for The Hub. Thirty-one talented young writers were chosen, and we’ll be featuring posts from these unique voices all month long. Here’s Abby Hendrickson from Minnesota. When I was a freshmen in high school, a parent in my town decided that the book that we would be reading in class that year, I Know Why the Caged Bird Sings by Maya Angelou (which discusses sexual abuse), was explicit and therefore should be banned and removed from shelves. Immediately English teachers and librarians were up in arms, ready to strike out the looming book censorship. They were prepared to defend the right of the students and everyone else to read freely. October is an exciting month for any YA lit fan, because it includes Teen Read Week! In honor of this annual celebration of young adult literature, YALSA invited book-loving teens all over the world to apply to share their enthusiasm for reading in a guest post for The Hub. Thirty-one talented young writers were chosen, and we’ll be featuring posts from these unique voices all month long. Here’s Rashika Rao, age 14. Ever since The Hunger Games, the craze for teen dystopias has escalated exponentially- are the novels going past the point of no return? This teen certainly thinks so. As more and more YA dystopian novels are written and published, the authors all seem to be forgetting the difference between writing in the same genre and writing with the same outline. Recently, I’ve started to realize just how clichÃ© dystopian novels are: it’s getting to the point where, if you just give me the first couple pages and a couple of character names, I can often predict an entire series’ main plot line. 1. Dysfunctional government: there is always something wrong with the governmental system. Some people like to argue that that’s the point of a dystopian novel. But if you look up the definition of a dystopia, it qualifies as a “an imagined place or state in which everything is unpleasant or bad.” (verbatim from Google). Maybe it’s just me, but I’d like something worse to happen than corrupt government every now and then. Another quick point: why are these officials always so violent? Torture, secret kidnappings, you name it, they’ve got it. The excuse is always that no one will stand up to them. But, quoting my AP U.S. History teacher here, “when you keep pushing people into a corner, eventually they’re going to push back.” Well, you defenders will say, that’s the point of the rebellion/rising/see #7! Okay. Fine. But how does our main character oh so conveniently get tangled up with them? And why is she/he (mostly she) always the key to their success? October is an exciting month for any YA lit fan, because it includes Teen Read Week! In honor of this annual celebration of young adult literature, YALSA invited book-loving teens all over the world to apply to share their enthusiasm for reading in a guest post for The Hub. Thirty-one talented young writers were chosen, and we’ll be featuring posts from these unique voices all month long. Here’s Alyssa Finfer from New Jersey. Let’s play a game. I’ll list some books, and you tell me which one doesn’t belong. I don’t know if it’s my penchant for once-upon-a-time fairy tale retellings, but when I pick up a book, I expect it to be narrated in past tense. Recently, though, it seems like more and more YA books are being told in present tense. I’m not quite sure why this is a trend, but I find the more frequent use of present tense interesting and occasionally annoying (I write this completely aware of the irony that I am writing this post in the present tense). I remember clearly the first time I noticed a story was being narrated in present tense–I honestly don’t remember the book or even quite when in my life this was, but I found the narration clunky and distracting, and I put the book down after a chapter or less. Looking back, I’m not sure if the writing was bad or clunky at all, or if I was just completely put off by the present tense. Now that I have encountered many more books that use present tense, I usually find it easier to ignore the tense and fall into the story, but not always. After all, past tense is something of a common language in English narrative writing, and it’s not like an author can’t convey that something is happening now even while using past tense. For example, Sam in Bennett Madison’s September Girls (2014 Best Fiction for Young Adults) describes his current whereabouts using past tense: “I had decided to take a walk, and now I was alone at the edge of the water as it came and went” (p. 22).